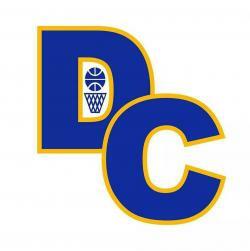 By Allen Rich Dodd City, Texas -- Gunnar Wilson poured in 30 points as the Dodd City Hornets improved to 19-7 on the season and 6-0 in District 23-A with a five-point win over the Ector . . .
Congratulations to the JH boys basketball team. They also come home the Ector tournament . . .
Congratulations to the Junior High girls basketball team. Ector tournament . 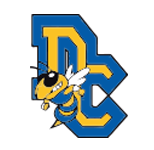 . .
By Allen Rich Gunter, Texas -- The Dodd City Lady Hornets picked up their 23rd win of the season with a 19-point win at Class 3A Gunter. It was Gunter with a 12-8 lead after the first quarter, but . 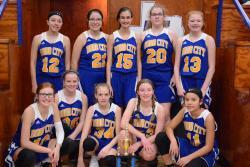 . .
by Allen Rich Dodd City, Texas -- Girls basketball teams from 14 schools converged on Dodd City this past weekend to participate in the 2018 Dodd City Invitational Tournament and it all came down . 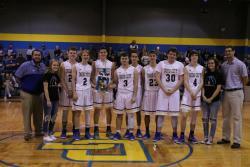 . .
By Allen Rich Dodd City, Texas -- The Dodd City Hornets improved to 10-3 on the season and took third place in the 2018 Dodd City Invitational Tournament with a 55-51 win over the Campbell . 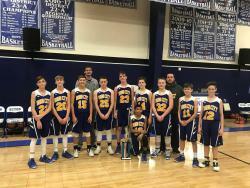 . .
Dodd City Hornets take 3rd in Bland tourney . 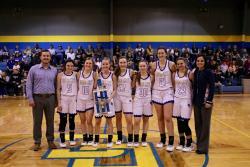 . .
By Allen Rich Lindsay -- Monday night's regional quarterfinals match played at Lindsay High School was a clash between the District 12-A champion Dodd City Lady Hornets and Bryson, the top team . 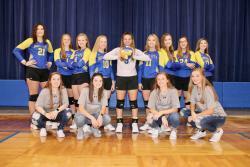 . .
By Allen Rich Gainesville -- After winning district and drawing a bye, the Dodd City Lady Hornets made their entrance into the playoffs in dramatic fashion Thursday evening by sweeping . 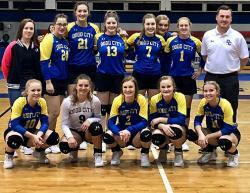 . .
by Allen Rich Dodd City -- Journie Hilliard and Sarah Brent combined for 34 kills as the Dodd City Lady Hornets defeated the Wolfe City Lady Wolves in a five-set thriller to determine the District . . .